The 15th annual AIBs have opened for entry, helping programme makers across the world share and showcase their best work of the year. Launched in 2005, the AIBs have become established as the major international competition for factual productions. The AIBs are highly valued and respected by producers, editors and journalists across every continent, demonstrated by the ever-increasing number of entries from broadcasters and independent producers in almost 50 countries. Demonstrating the truly international dimension of the AIBs, all categories are open to work in every language. 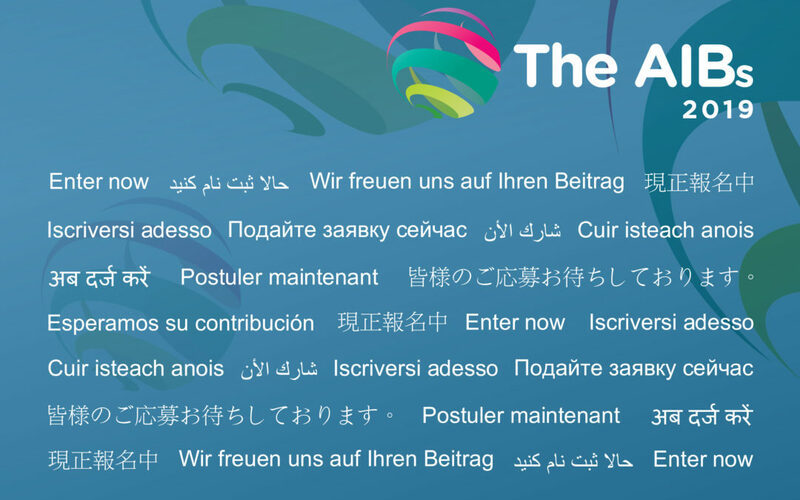 Winners in the past have submitted work in Arabic, Cantonese, Czech, French, German, Hindi, Mandarin, Spanish and Swedish, among other languages. Judging of the AIBs is undertaken by an international panel of experts, who bring global perspective and extensive industry experience to the competition. The judging takes place in September using the AIB digital voting system which provides online access to all shortlisted entries. The AIBs are open for entry until 28 June 2019. See the entry book online at http://theaibs.tv/Assets/AIBs-2019-books/AIBs-2019.html and more information at http://theaibs.tv.